Founded in September 2011, 3ders.org is a global news organization dedicated to providing the latest news, trends and analysis in the 3D printing industry. Ultimate Kids Guide to 3D Printing. Easy and informative kid-friendly guide which covers all the basics of 3D printing. This multi-disciplinary database provides full text for more than 4,500 journals, including full text for more than 3,700 peer-reviewed titles. PDF backfiles to 1975 or further are available for well over one hundred journals. (Available in the library only) A fuller version of Ancestry.com, with census records, historical records, photos, stories and maps. There are also charts and "how to" tips for recording research as it progresses. The Autodesk 123D community is a place to design, create and share anything. No matter your technical skills and experience, you will always have a place to get the latest tools and information to support your adventures in 3D printing. Browse Book Page for book reviews online, or pick up a paper copy at your library! Business Source Premier is the industry’s most used business research database, providing full text for more than 2,300 journals, including full text for more than 1,100 peer-reviewed titles. The Concord Regional VNA serves the healthcare needs of people of all ages in central New Hampshire. The not-for-profit, community-based organization provides a wide range of personalized services and programs in your own home or the home of your aging parent. The Consumer Financial Protection Bureau is a U.S. government agency that ensures banks, lenders, and other financial companies treat you fairly. A comprehensive resource for consumer-oriented health content. It is designed to support the information needs of patients, and to foster an overall understanding of health-related topics. Full access to ConsumerReports.org website which provides evidence-based product testing and ratings, rigorous research, hard-hitting investigative journalism, public education, and steadfast policy action on behalf of consumers’ interests. Tools to help you feel comfortable and confident with technology. Online resources for public libraries. Popular research interface optimized for mobile devices. Find immigration records for the millions of people who entered the United States through Ellis Island. The Educational Resource Information Center is an index for more than 1,000 educational and education-related journals. Explora for adults is a research tool that enables a quick search of articles, essays, and primary source documents including journals, abstracts, magazines, newspapers, encyclopedias, dictionaries, books, biographies, and historical essays. Explora for children is a research tool that enables a quick search of articles, essays, and primary source documents including journals, abstracts, magazines, newspapers, encyclopedias, dictionaries, books, biographies, and historical essays. Explora for teens is a research tool that enables a quick search of articles, essays, and primary source documents including journals, abstracts, magazines, newspapers, encyclopedias, dictionaries, books, biographies, and historical essays. Family Division forms are here. A genealogical research website provided by the Church of Jesus Christ of Latter-day Saints. Learn the essential skills with more than 180 topics, including more than 2,000 lessons, 800+ videos, and 55+ interactives and games, completely free: MS Office, Google, computer basics, MacOS, Windows, word processing, publishing, image editing, and more. Browse our Goodreads page for reading lists, past book club selections, online discussions, and more! Great Websites for Kids is a compilation of exemplary websites geared to children from birth to age 14. Suggested sites are evaluated by members of Association for Library Service to Children, a division of the American Library Association. In-depth information on a variety of topics relating to the environment. Also contains images. This database is the richest collection of consumer health information available to libraries worldwide, providing information on many health topics including the medical sciences, food sciences and nutrition, childcare, sports medicine and general health. 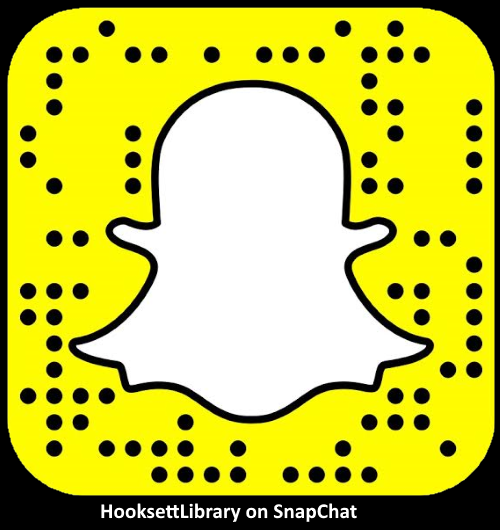 The Town of Hooksett's website has a webpage dedicated to civic groups in Hooksett. Find books, movies and more. Annual reports Town of Hooksett, New Hampshire, available in multi-file format. Digital copies of Hooksett Town Reports, dating back to 1915, all in PDF format. Online learning made easy through your Library. Lynda.com is an online learning site that hosts a constantly growing library of over 3,000 courses that include over 130,000 videos. Courses cover a variety of topics including business, design, web development, multimedia skills and software (Microsoft Office, Windows, Mac/iOS, and open source applications) that can help you pursue personal and professional goals. MasterFile Premiere provides full text for nearly 1,700 magazines and journals with full-text information dating as far back as 1975. Covers virtually every subject area of general interest. Also contains full text for nearly 500 reference books and over 164,400 primary source documents. Learn how to create journal alerts so that you can be notified when a new issue of a desirable journal or magazine is released. More info on how to get started. Mango Languages is a PhD-created, linguist-approved language-learning software teaches practical conversation in over 70 languages, while keeping the vibe fun and encouraging. With free mobile apps, hands-free learning features, progress tracking, and a fresh as well as interactive interface, it's no wonder Mango is the most popular language-learning resource! Middle Search Plus provides full text for more than 140 popular, middle school magazines. All full text articles included in the database are assigned a reading level indicator (Lexiles). Full text is also available for thousands of biographies and history. Search online catalog with mobile-friendly interface. The website for the National Archives contains information for starting genealogical research and popular tools and resources for researching your family history. NCSA's mission is to educate and therefore empower a digital society to use the Internet safely and securely at home, work, and school, protecting the technology individuals use, the networks they connect to, and our shared digital assets. The New England Historic Genealogical Society’s website. This organization offers fee based research and database services. For the Public links to public information pamphlets (including "A Guide to New Hampshire Courts," "Consumer Protection Law," "Domestic Violence," etc. ) There are also links to other New Hampshire low cost and no cost legal service organizations. The NHCF provides approximately 3 million dollars in scholarships to New Hampshire students every year. New Hampshire Legal Services is a web portal to legal services programs, and legal information. A NH government agency providing resources for individuals preparing for a postsecondary education. The NH SBDC offers advice on financing, improving operations, bringing new products to market, and where to start in launching a new business or purchasing an existing one. NH Court Rules for the Supreme Court, Superior, Probate, Family, and District Court. Also included are the NH Rules of Evidence and the New Hampshire Rules of Professional Conduct. The Consumer Protection and Antitrust Bureau acts to protect consumers from unfair or deceptive trade practices in New Hampshire. NH Employment Security (NHES) is a federally funded state agency that provides employment and career, unemployment benefit, and labor market services. Founded in 1823, the New Hampshire Historical Society is the premier organization preserving and sharing New Hampshire history. Information about court forms may be found on the court’s Self-Help page. A-Z index of legal resources for New Hampshire. The New Hampshire State Library has microfilm of State Census records, town histories, etc. This website is meant to help public librarians help their patrons by bringing together reliable online and print resources about NH law and giving them guidance in the use of NH legal reference materials. Find new books and authors to read with NoveList K-8 Plus, a fiction and non-fiction reader's advisory resource for young readers. From Teens to Preschoolers, search by reading level or by series to find similar authors to those you like. Resource of BookTalks, Book Discussion Guides, with Author Read-alikes, Readers' Advisories, author biographies, for both fiction and nonfiction titles. A great resource for Elementary School students. It provides full text articles from 57 children's magazines and 100 children's pamphlets. Professional Development Collection is designed for professional educators, this resource provides a highly specialized collection of nearly 520 high quality education journals, including more than 350 peer-reviewed titles. This database provides comprehensive full text coverage for regional business publications. Regional Business News incorporates coverage of 75 business journals, newspapers and newswires from all metropolitan and rural areas within the United States. The Center for College Planning at the NHHEAF Network Organizations is dedicated to providing students and families with valuable information about the college planning process. Tinkercad is an easy, browser-based 3D design and modeling tool for all. Tinkercad is also your perfect 3d printing companion – it allows you to imagine anything, and then design it in minutes! Tinkercad is part of the 123D family of free apps. Instructions for getting the Transparent Language app. Transparent Languages Online is easy to use and you can learn a new language from anywhere that you have an Internet connection or by using a mobile app. Choose from over 80 languages including English for foreign language speakers. A portal to educational websites (games, activities, etc.) for children. Online educational and recreational learning resource with over 500 classes. These classes are led by expert instructors and are provided for your personal enrichment. Business, Career Training, Cooking, Real Estate, Crafts and Hobbies and Psychology are a few of the subjects covered by these courses. *These courses have been designed for learners over 13 years of age. Learn about the newest library materials before they hit the shelf! Our new Wowbrary service sends weekly Email updates. ​The Hooksett Heritage Commission has reprinted ​​Hooksett Historical Sketches 1822-1968, written by Charles R. Hardy who served as Town Clerk from 1929 to 1966. This is the only stand-alone history of Hooksett.